I have been discussing the images with the owner for the last while and she is kindly sending me 4 clips running 13 seconds , 10 , 5 & 20 seconds and has granted me permission to post the clips for everyone to look at. 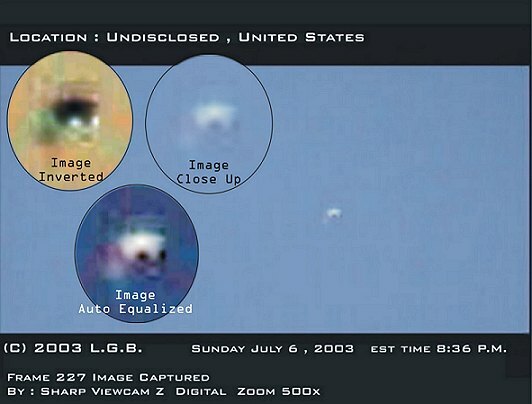 There is also a full sequence of the object - VERY clearly twirling showing rotation. 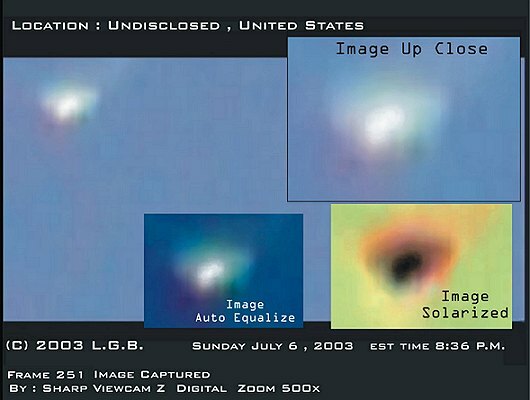 Canadian Toll Free UFO Hotline 1 866 262 1989 - Free call. 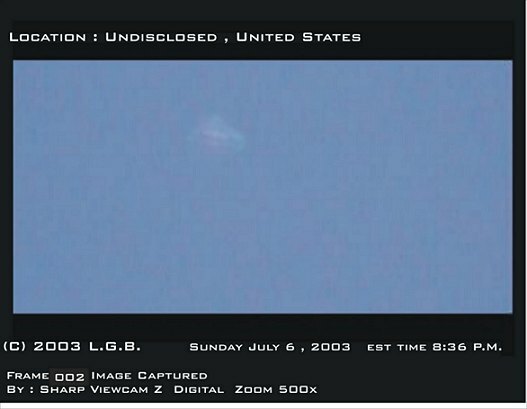 Here's an interesting image from the footage - what do you make of it? 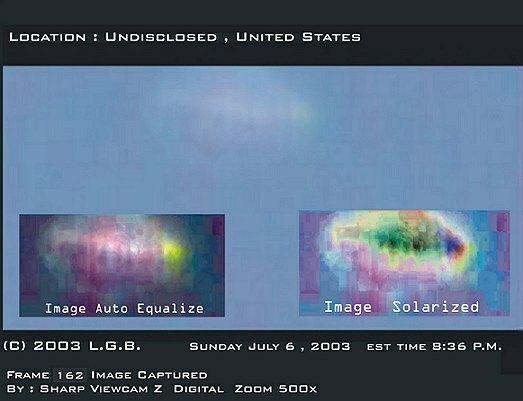 On the afternoon of July 6 , 2003 my husband noticed a gleam way over head. 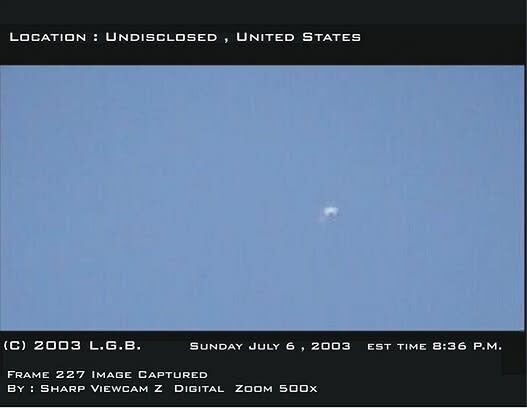 It looked odd, so I went and got my camcorder w/500 digital zoom . Couldn't see what it was until I zoomed in. 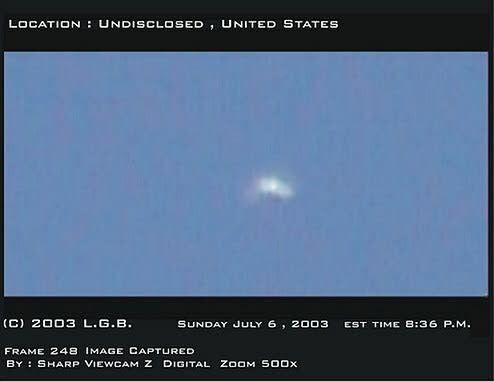 I recorded the most awesome 3 minutes of what was defintely an unidentified object. We looked through frame-by-frame and found some 'brow-raising' images. I am a 31 year old skeptic and don't care for politics or red tape. 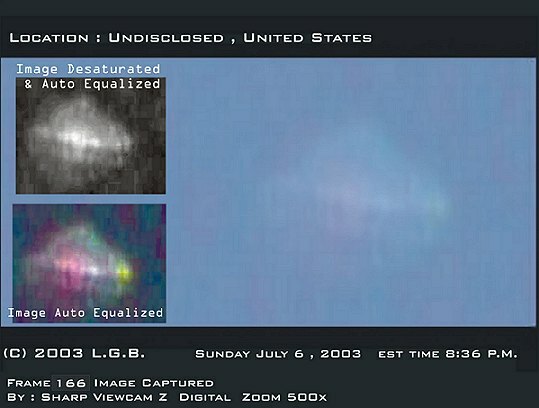 I am the type of person that looks to the logical explanations in all 'unexplained' from paranormal to the unexplained - but this footage is like nothing I know which is on record to date. 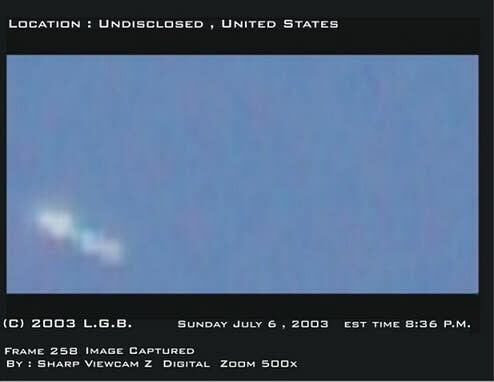 It isn't just a a sliver ball darting around - the footage has captured more detail than that; the object is defintely not a sliver ball. Let me assure you this footage is true. 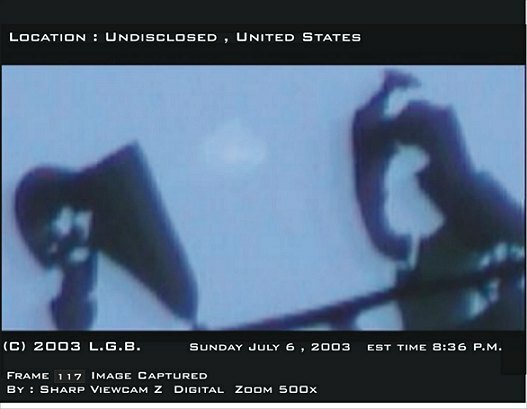 This footage is so solid I am willing to sell all rights to it. I realize many are hoaxed projects - experts can sniff out a fake crop circle a mile away. 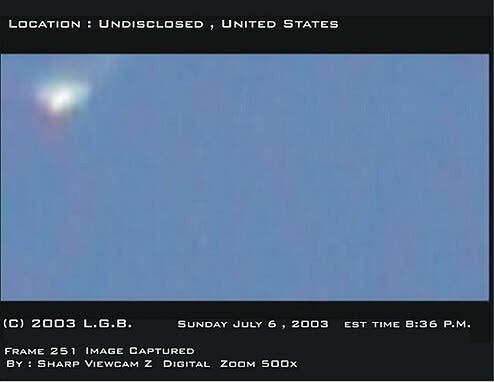 I do feel this footage will be talked from all aspects of the UFO pros & cons for years to come.